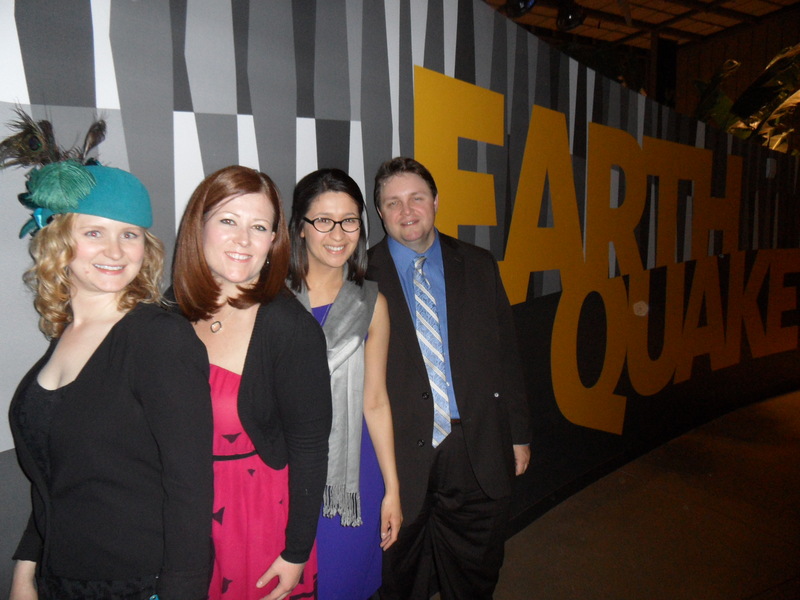 Last week the California Academy of Sciences opened its newest exhibit: Earthquake. It is an awesome combination of seismic science (who’d have thought that African ostrich chicks and earthquakes have so much in common) and earthquake preparedness education. 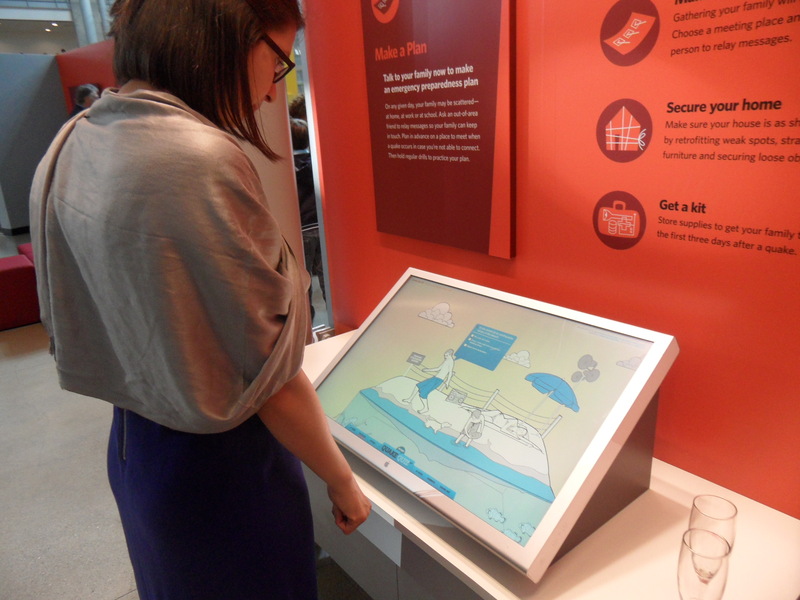 We were fortunate to be able to work with the exhibit designers regarding the earthquake preparedness section content, and are elated to see the exhibit come to ‘life’. The thought of the masses learning about earthquakes and how to be ready for them has us giddy; but what has us particularly excited is that we were invited to work with the Academy to weave positive and value-based messaging throughout the People Prepare section of the exhibit. We have put a lot of thought into our preparedness communications (check out the Preparedness Movement Communications Strategy, which sums up how conduct emergency preparedness communications and outreach). Our goal is to get people to want to be ready—and inspire them to seek out the how to’s of preparedness (check out the DEM Blog Eat Your Vegetables for more on this topic). So, how to get people to want to seek out how to be prepared? 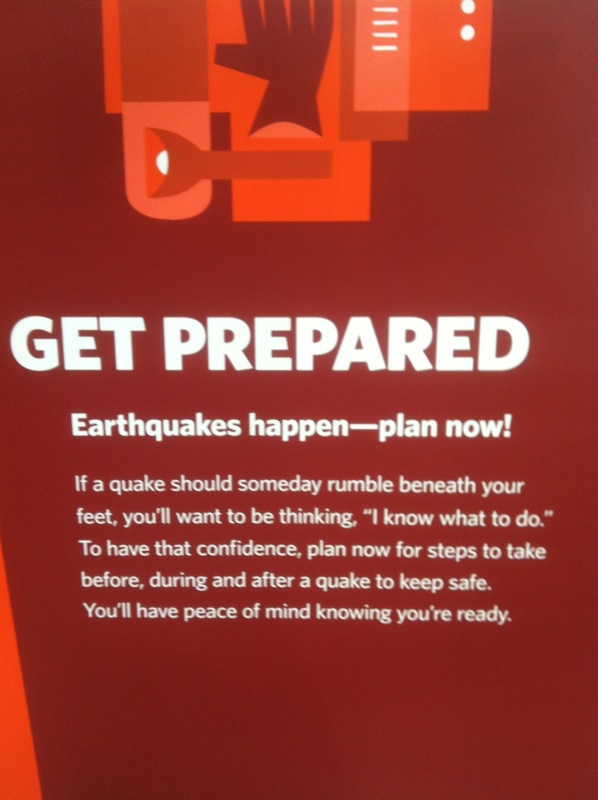 By framing preparedness messages around what people care about. That means we need to think about who we are reaching and what they value—and use that as the rallying topic around preparedness. Value-based messaging brought to life! Last April we worked with our private sector partners to deliver our established positive and value-based preparedness messaging through the Who Are You Shopping For? emergency supplies shopping campaign. And now with the California Academy of Sciences Earthquake Exhibit we have a two year window to deliver our message. At the heart of it: working with other organizations that are conduits to our target audiences is the key to us being able to deliver the message to San Franciscans. DEM’s QuakeQuiz is a part of the People Prepare section of the exhibit. The DEM team who worked with California Academy of Sciences exhibit designers on the People Prepare section of the exhibit. From left to right: DEM’s Resilience and Recovery Manager, Alicia Johnson; Strategic Communications Planner, Kristin Hogan; Community Liaison, Doris Padilla; and Deputy Director, Rob Dudgeon.